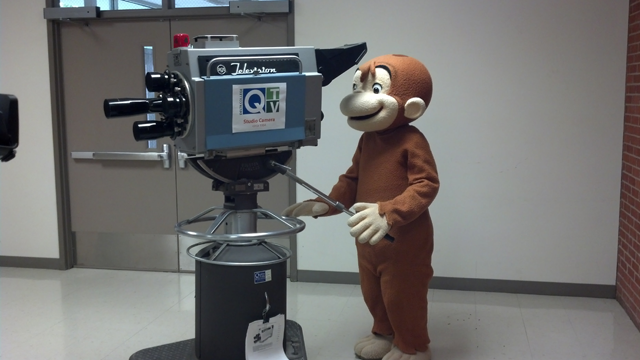 One of Q-TV's original studio cameras, already ten years old when it was used in this production in 1974. 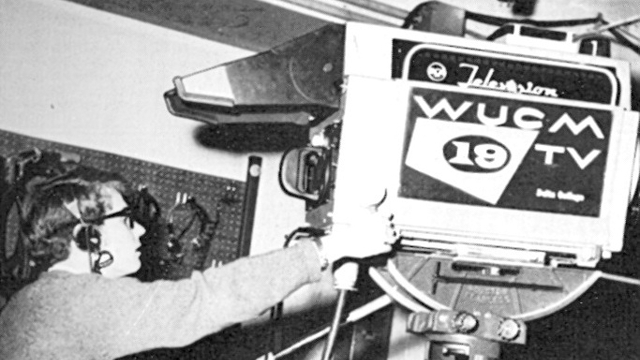 Original camera in use in 1974. If you ever visit Q-TV's studios, you'll see one of those original cameras still on display in the hallway. 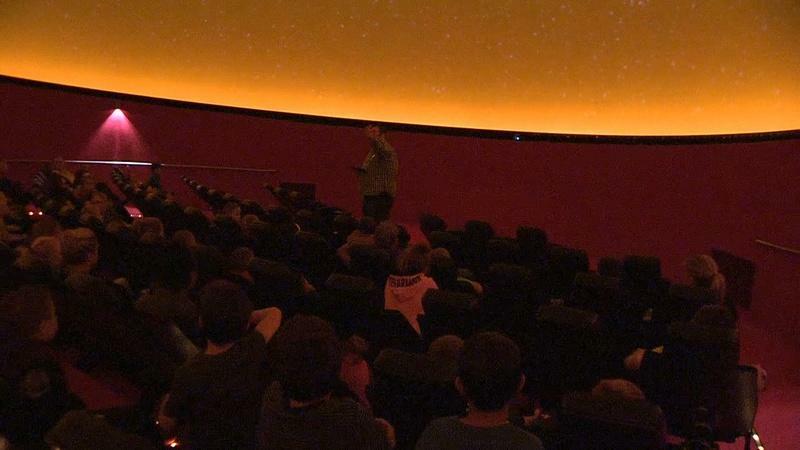 When Curious George visited in 2013, he couldn't resist trying it out. 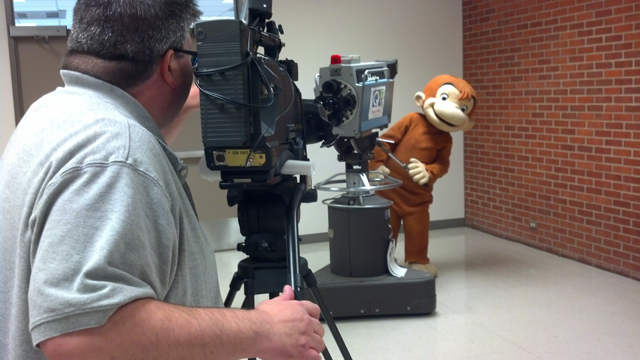 Curious George monkeying around on one of our first cameras.